When I was asked to review zulily the online store that brings you daily designer deals for kids at discount prices, I jumped at the chance. With the sun blazing it was time to get the toddler a trendy new outfit to struct his stuff in. 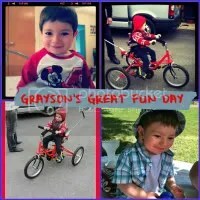 Here’s what he wore while attending a summer barbecue and chilling with his little buddies all courtesy of Zulily. 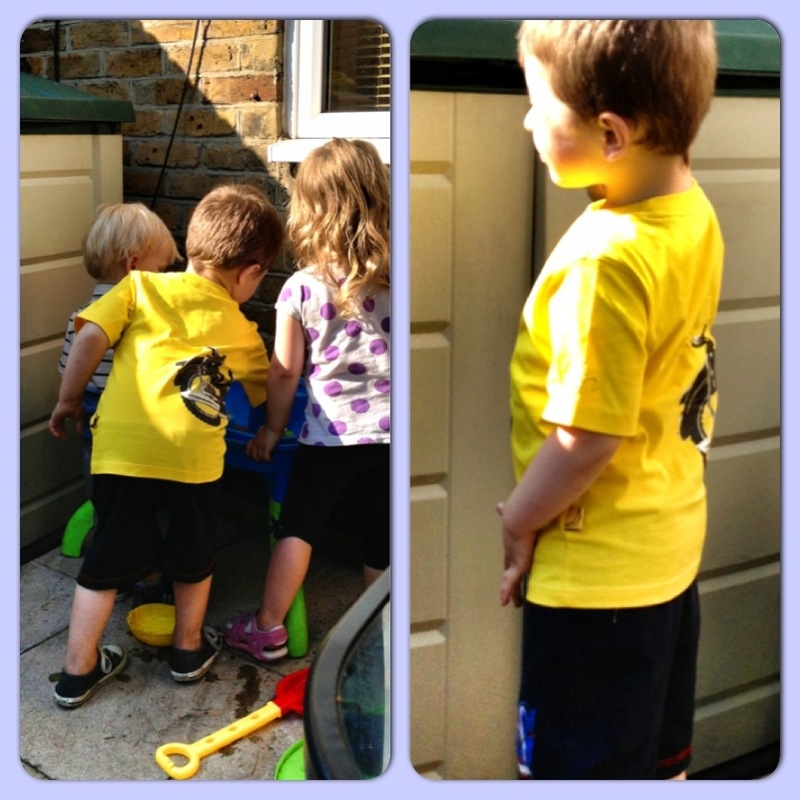 I love Harley in yellow and this Funky Monkey tee did him a treat. He loves the cool motorbike image that is printed on both the front and the back. The shorts are also very cool! My younger brother (now in his late twenties) was a huge Batman fan and he would have love these back in the day! That’s why I’m calling these Harley’s new retro shorts. As for the hoody, its incredibly smart and fashionable but as you may have guessed, a little to on the warm side to be wearing it just yet. I’m sure this will get loads of wear during the colder english months to come. Sadly I was unable to get some great images of the front of his outfit as he was far to busy engaged in his play session with he’s cousins… Yes, it’s hard work trying to photograph a lively 3 year old boy when he has a sand pit and push along car in front of him. So now for some exciting news! 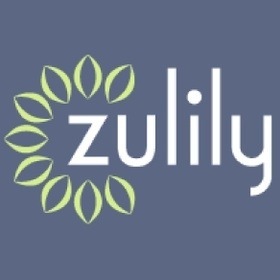 Zulily’s have kindly offered one of my readers the chance to bag themselves a £20 voucher to send on a deal of there choice over on the Zulily site. Zulily was founded by two dads when they couldn’t find unique clothes for their children at affordable prices… You can read the Zulily story here! 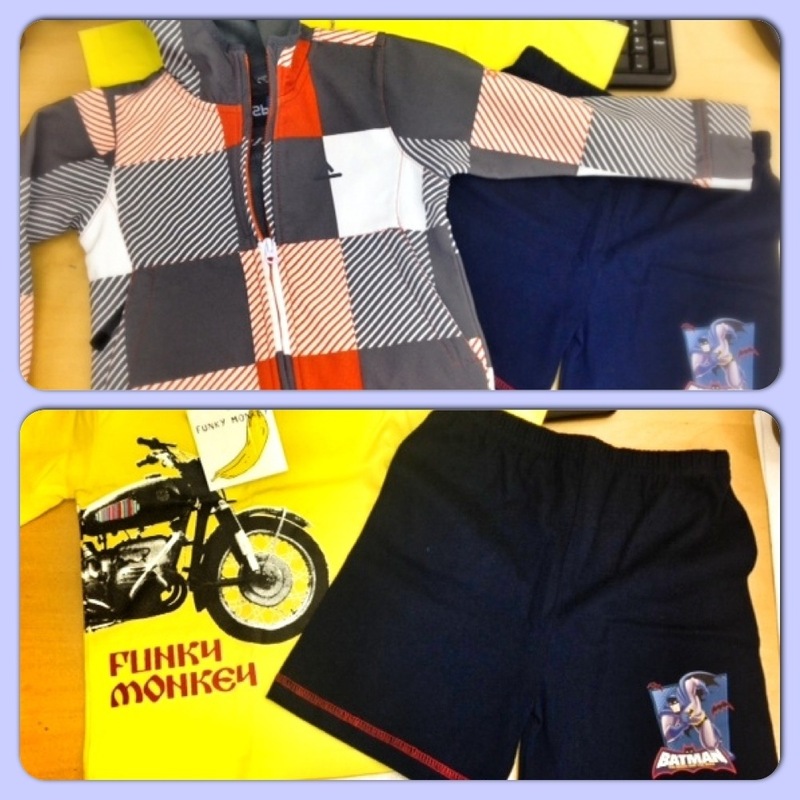 They are a members only site that generally has 30-90% of the retail prices on today’s children’s fashion. and work with smaller, boutique brands as well as bigger brands so there is literally something for everyone’s taste. What’s more as a member (which is free) You can earn zulily credit through referring your friends – £10 per friend referred once their first order ships. Now that’s what I call an Incentive! 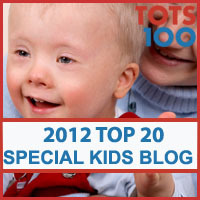 Zulily also have a monthly Cuties Instagram competition, which is featured on there blog. 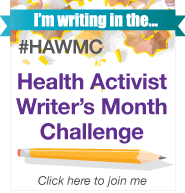 I regularly enter this one as they have some fabulous prizes up for grabs and some fun monthly themes. So… Lets get this competition started! 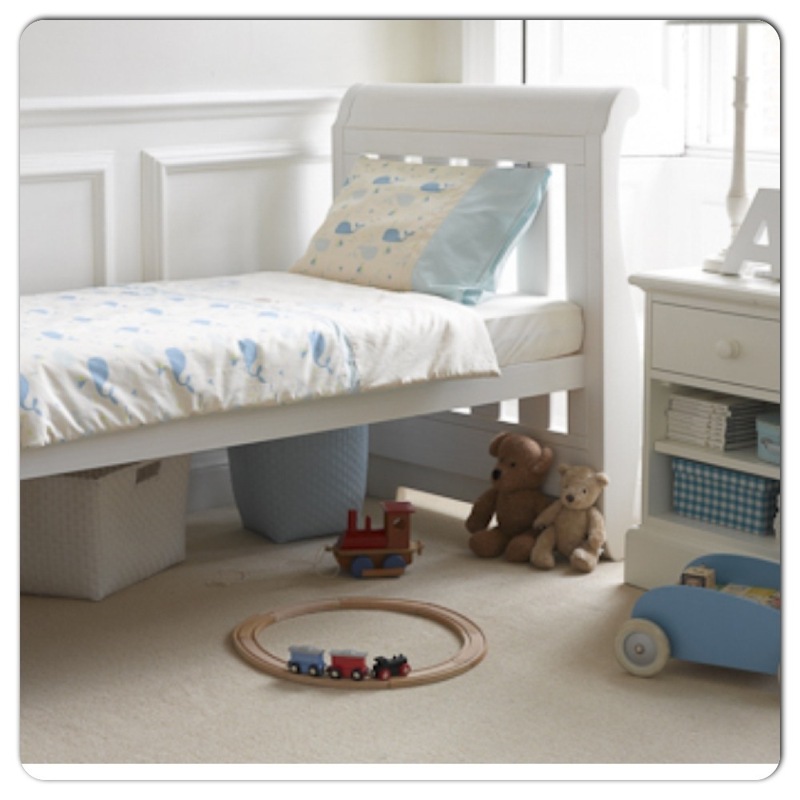 Fancy winning a Zulily voucher for the value of £20? Of course you do!! … Just tell me what fashion means to you and your little ones! Are you an anything goes kinda mum? Maybe you only do designer or maybe you just don’t care as long as they are clean and comfortable your happy! Just tell me by commenting in the comments section below. For extra chances to win just do any or all of the following. Tweet… “I want to win a £20 Zulily Voucher with @Clairelouise82 and @Zulily adding the URL to this competition. Use any of the share buttons below excluding email and like it buttons. Important… Please leave a separate comment for each action you carry out and one extra entry for each action will be added into the final draw. It’s as simple as that… Good luck everyone. Competition open to UK residents only. Closes on the 4th September 2013 at 11.59pm. Email or twitter handle must be left with all comments to ensure I can contact you in the event that you win. Prize will be sent by Zulilys so your address will need to be passed to them via myself. Winner has a total of 72 hours to claim their prize from the time of winning notification being given. Yesterday we were sent a Gorgeous cotbed quilt and matching pillowcase from Dream Genii.The set is designed for toddlers and is the perfect size for standard toddler and cot beds. 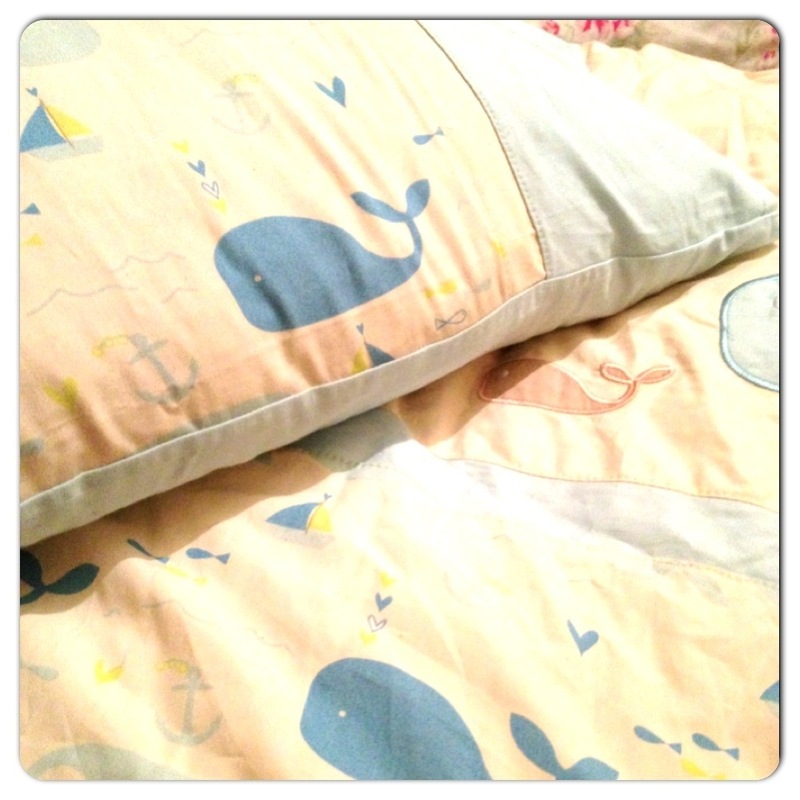 The design is very cute. 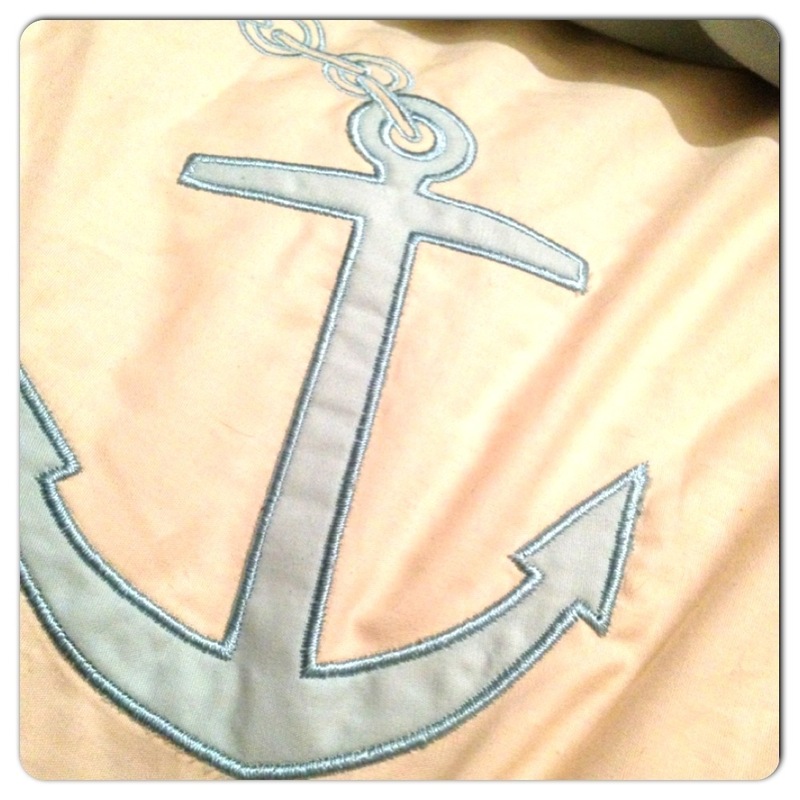 The boys set is blue and white and features this lovely ocean scene with anchors, whales, boats and pretty embroidery. 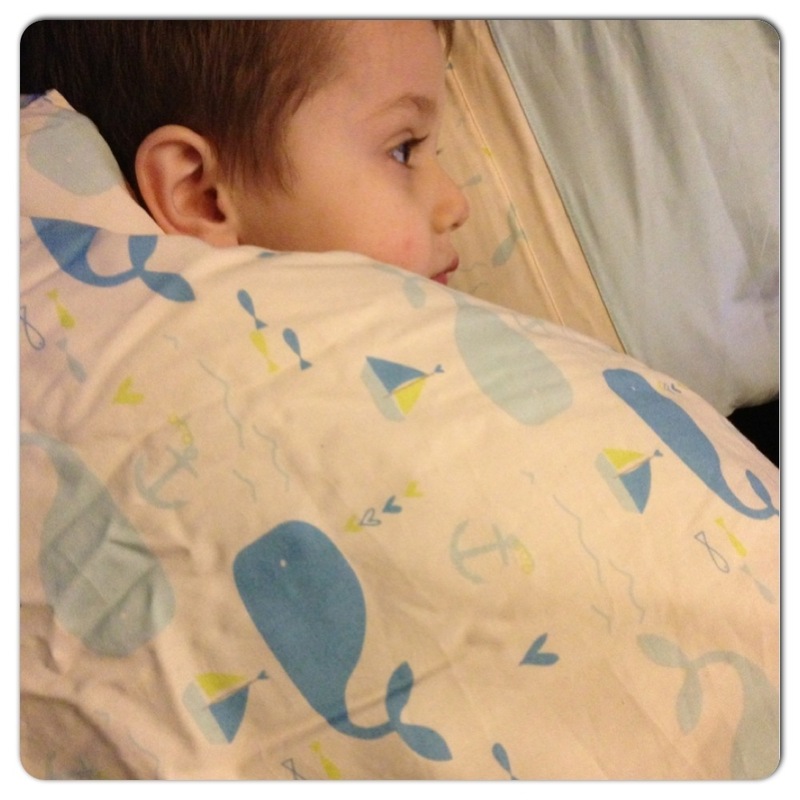 Its super cosy and warm but still light so will help children remain cosy and warm without overheating. Harley seems to love it and I can see why. What’s more Dream Genii are selling it 65% lower than its RRP of £39.99 for just £13.99 which I think is excellent value for money and would therefore recommend this highly. 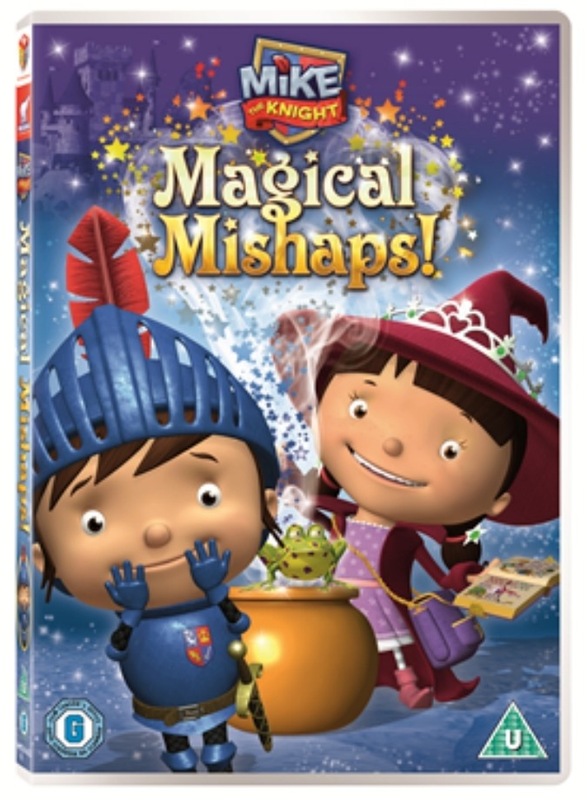 The set is recommended for children aged. 1-5 years and they also offer a very pretty girls set with pretty owl detail in pink. Dream Genii have been kind enough to send me a girls set to giveaway to one of my readers here on a boy with Aspergers. Subscribe to the blog via Feedburner and leave a comment telling me what email you subscribe under and why you should win. To gain extra entries do any or all off the following. Remember that for each extra entry you must leave an extra comment to qualify. Pin the competition onto pinterest then comment with the link. Tweet: “I want to win a cotbed quit set with @Clairelouise82 and @dreamgenii2 http://bit.ly/ZAg9Zx&#8221; Commenting with your twitter handle or direct link to tweet. 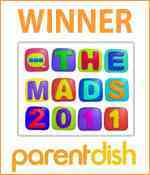 For an extra 2 entries subscribe to my sister site ‘Mummy of Many Talents‘ and leave a comment on any post on that site. Then comment here telling me the email you subscribed with. Competition will close on the 25th April 2013 and is open to those in the UK only! T&C: Winner will be selected randomly. Competition closing date is the 25th April 2013 at 11:59pm, entries submitted after this time will not be entered into the draw. Winner has 48hrs to confirm prize and send contact details or the winner may have to be redrawn. Open to those in the UK only! All rules need to be followed for entry to be included in the final prize draw. Disclaimer: I was not paid to write this review but did receive the product for the purpose of this review. All comments are honest and that of my own. Us mums of pre-schoolers all know and love Baby Jack, that loveable character from Cbeebies… the show with the very catchy theme tune. Well, this week the toddler has been busy reviewing one of the latest toys in the Baby Jake range brought to us by Vivid. 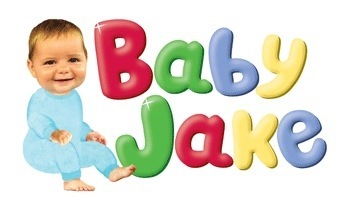 Musical baby jake is a mini version of the real thing. 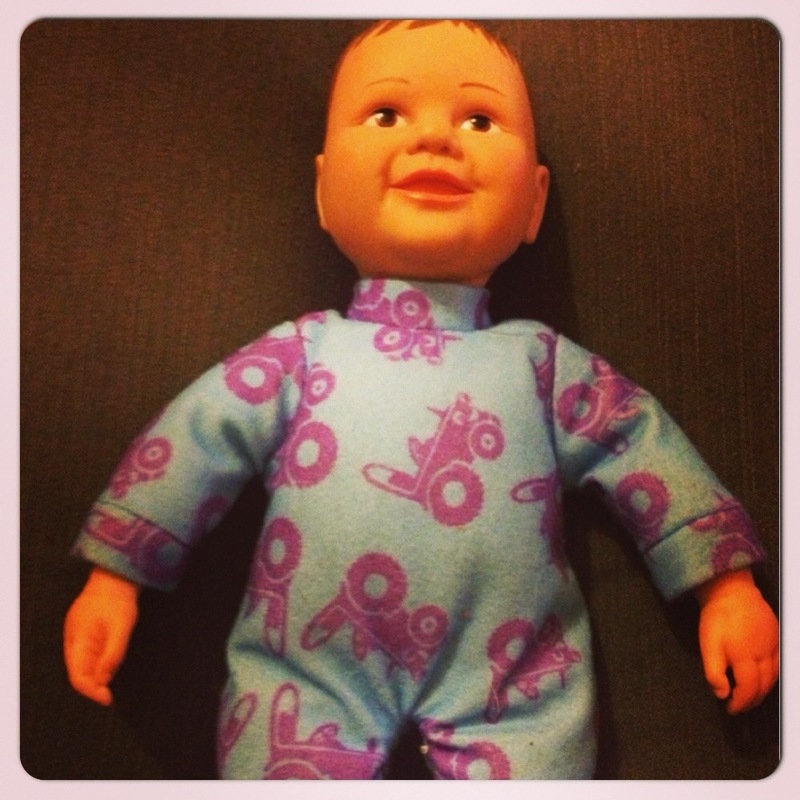 He is a soft bodied doll that when his tummy is squeezed, plays the Baby Jake theme tune. Admittedly his somewhat smaller than I first expected but he is a nice size, that’s actually ideal for toddlers little hands. Musical baby jake is easily operated and the toddler had no issues with knowing how to work the toy. There was one issue I had with this toy! Although this takes batteries, you are unable to change them. Having looked for where to put the batteries for sometime I finally noticed the very small writing on baby jakes tag explaining that the batteries were non replaceable. I don’t think the packaging does to good a job at letting this fact be known. Saying that, Baby Jack hasn’t actually ran out of batteries as yet so I really can’t give an indication of just how long these may last. Harley does like the toy. Its pretty cute and resembles the character well. The theme tune (Yacki Yacki Yoggi song) isn’t overly loud but loud enough for the toddler. My nephew also got the chance to play with the fabulous Baby Jake Musical TV. 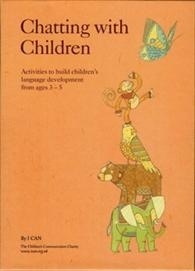 This is suitable for children aged 12 months +. 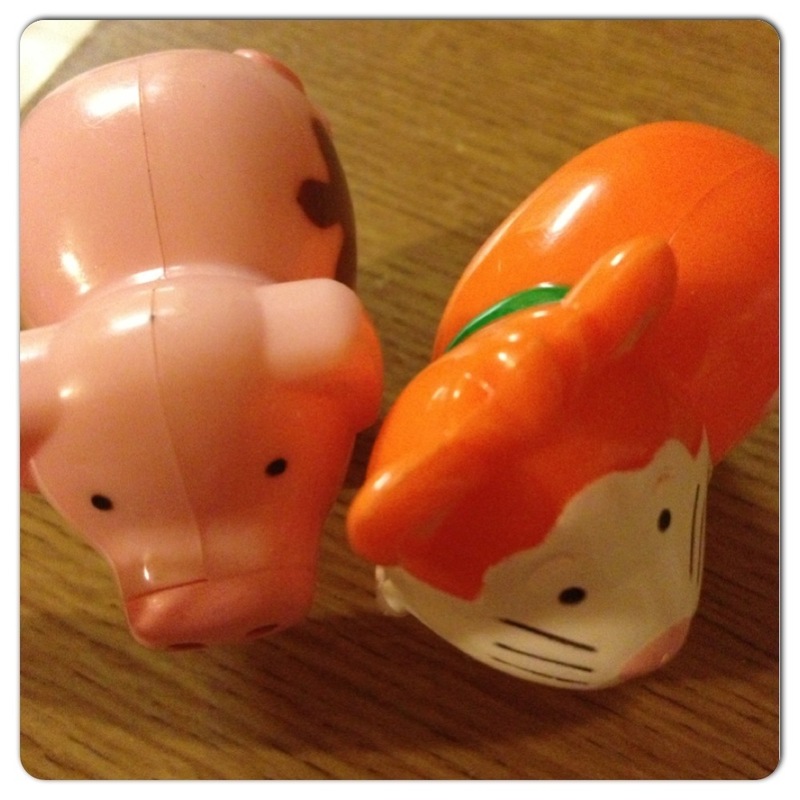 This super cute toy is easily operated with the press of a button. 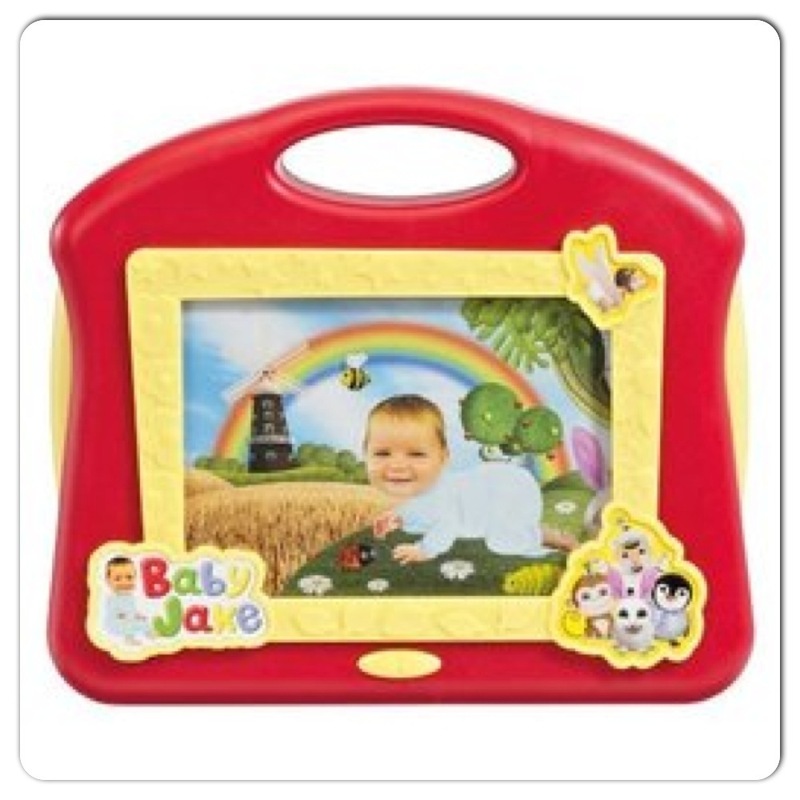 As the theme tune plays the TV displays cute images of baby Jake on one of his fabulous adventures. Other new additions being introduced to the range for 2013 include… The new Push Along Digger (RRP £4.99). 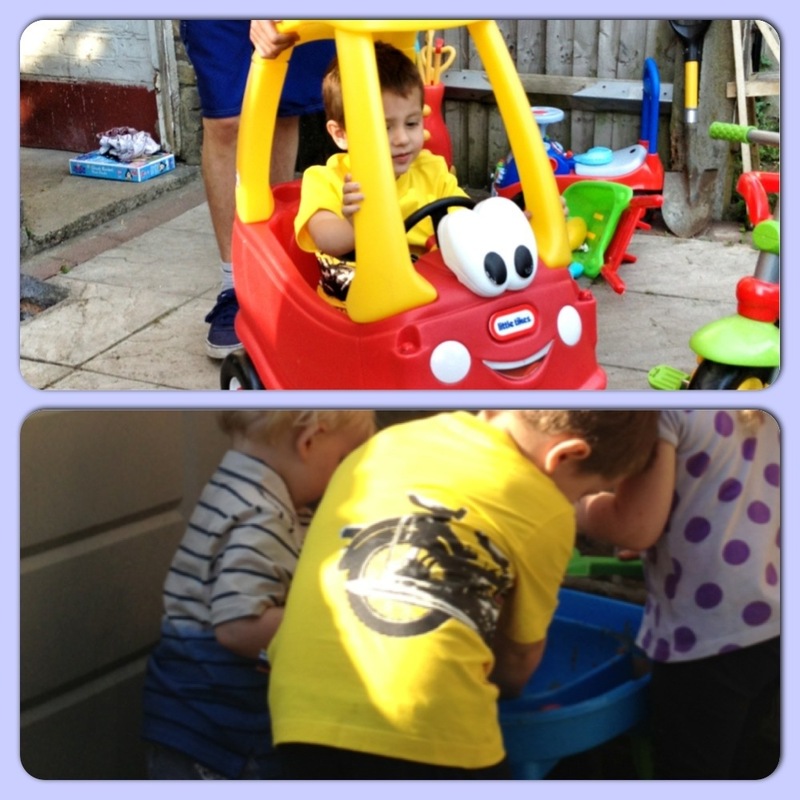 Suitable for children 18 months+, this mini marvel comes in a cheerful shade of yellow and features Baby Jake figure at the wheel! 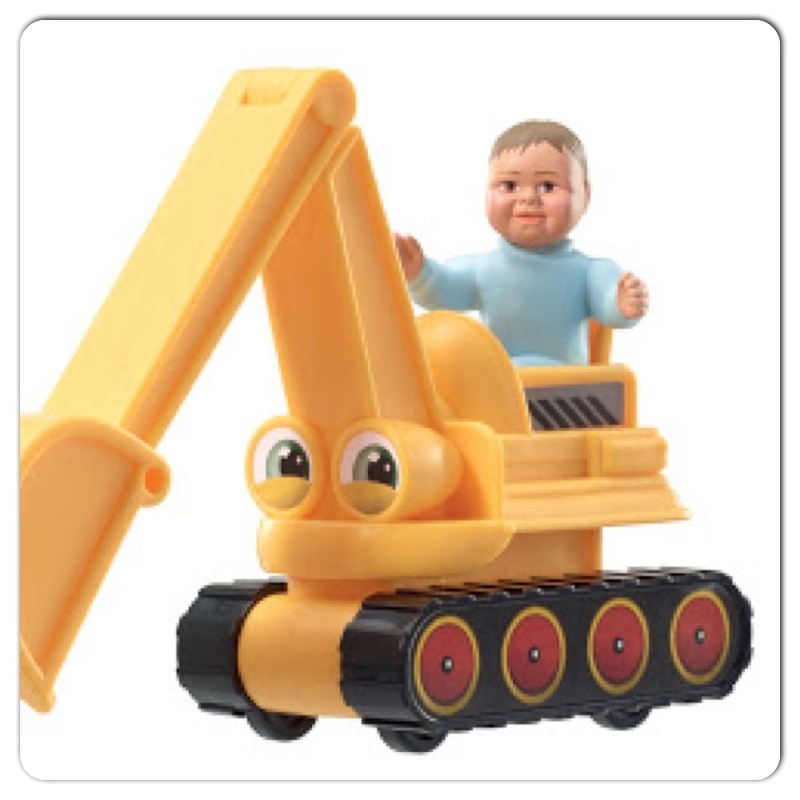 As Baby Jake is pushed along in his digger, see the digger arm move up and down as it travels across the floor. Coming soon…Baby Jake blasts off into space this autumn with Astronaut Baby Jake (RRP £19.99). Sporting blue space suit and essential rocket pack on his back, Baby Jake is all ready for the countdown to blast off! Squeeze Baby Jake’s tummy to hear him talk about space and listen to him respond with additional space statements as he flies through space! 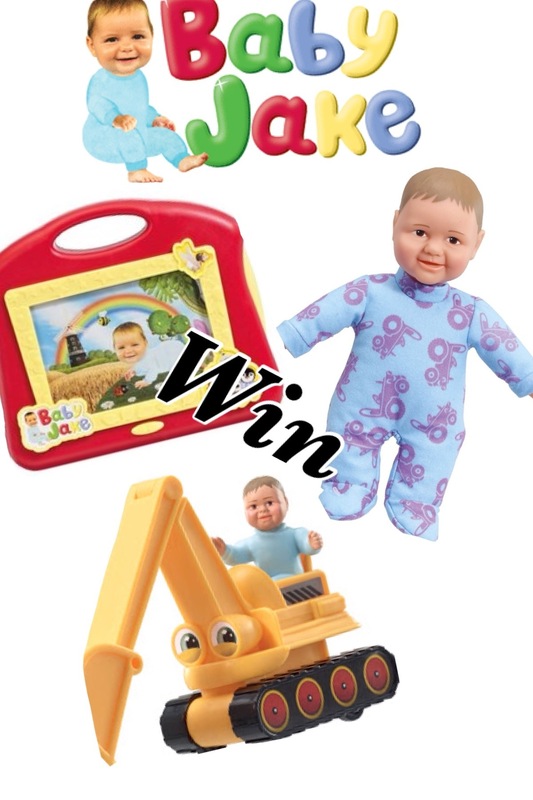 How Would you like to win a fabulous Baby Jake Toy Bundle? Vivid have offered me the opportunity to offer my readers the chance to win a toy bundle consisting off… A Musical Baby Jake, Musical Baby Jake TV & Baby Jake Push Along Digger. 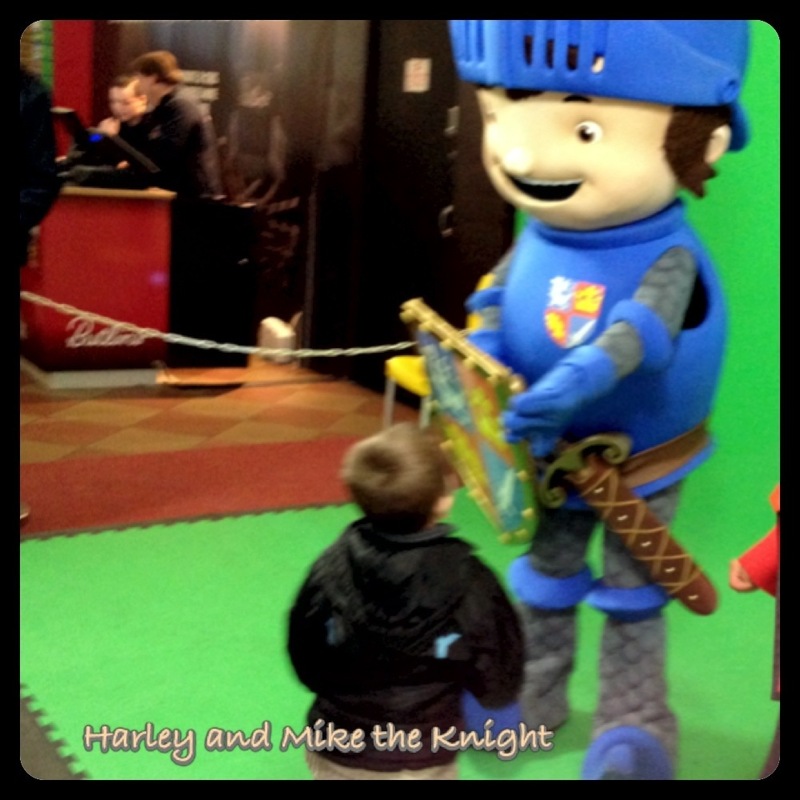 Compulsory: What is your child’s favourite Cbeebies show? For additional chances to win you can gain extra entries by doing any or all of the steps below. 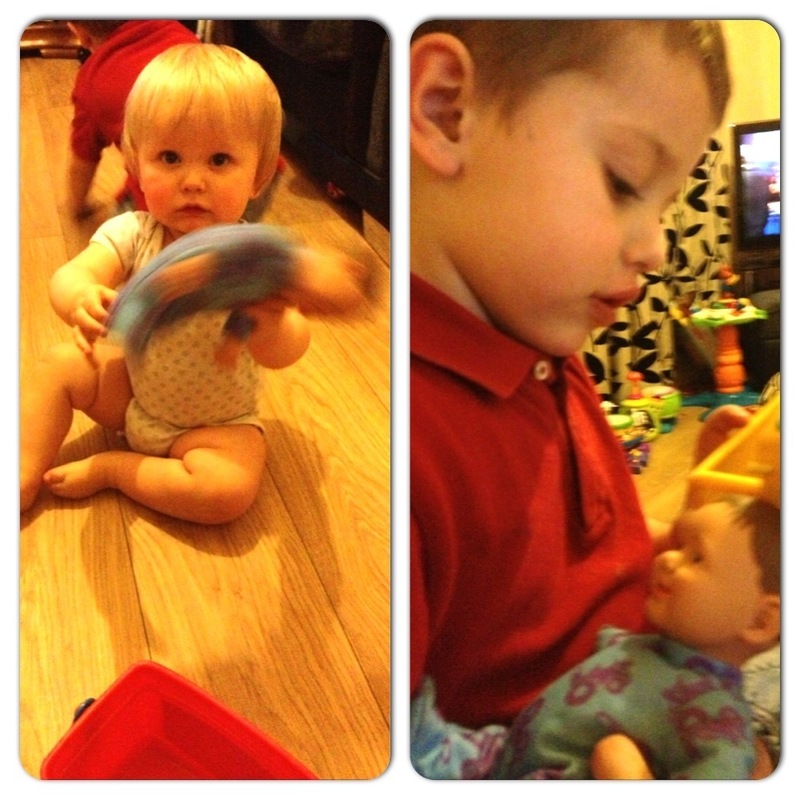 Tweet… “I want to win a baby jake toy bundle with @Clairelouise82 and @VividToyGroup” adding the URL to this post. Leave a comment with the link to your tweet or your twitter ID. Subscribe to this blog via feedburner (top sidebar). Comment letting me know the email you have subscribed with. 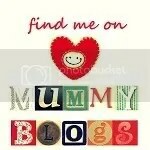 Follow my sister blog “Mummy of Many Talents” comment to let me know the name or email you subscribe under. Pin this competition (the image displaying the prize package) on pinterest then comment to let me know how to find your pin. Competition will closes at 11:59pm on the 30th March 2013. Please leave an additional comment for each action taken. You can visit the Vivid official website Here and their twitter feed Here. T&C: Competition open to those in the UK only. All actions will be checked to verify entry. A valid twitter handle or email address must be left. Entries submitted after the closing time and date will not be valid. Winner drawn at random. Winner will have 72 hours to respond to winners notification or winner maybe redrawn. 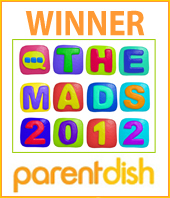 Prizes will be sent from the PR for Vivid Toys so addresses and email will be passed on in order for prizes to be sent. RSPCA My Pocket Pets are a set of super-cute collectable figure packs that are made by WOW Toys and suitable for pre-school children from 18 months +. Each pack contains one animal figure plus an RSPCA fun activity sheet. This includes fun activities such as dot-to-dot, colouring in, an RSPCA cartoon and information aimed at teaching young children about animal welfare. The RSPCA cartoon and information sections explain the importance of animal welfare by listing the 5 main animal welfare needs and the activity sheet’s cute cartoon details the story of Farmer Bill and Nasty Nick, a fun story clearly explaining how children can be conscious of animal welfare. There are 6 animals to collect in this series: Pippi the pooch, Socks the cat, Clarissa the cow, Patch the pig, Wiggles the Dalmatian and Jenny the horse. 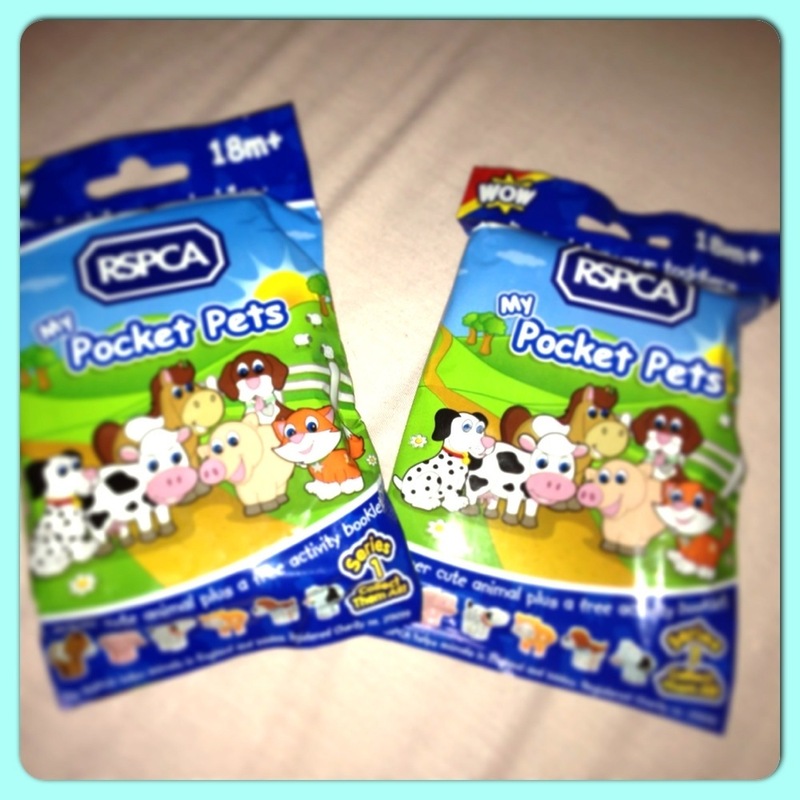 RSPCA MY Pocket Pets went on sale this month (February) and are priced at £1.99 per foil pack. The is stocked in a wide range of high street and online outlets including Waterstones, Tesco, WH Smiths, Tesco Direct and Amazon and participating RSPCA outlets. 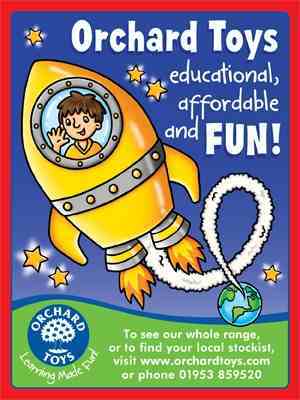 The toys will also be listed in independent toy shops as well as a number of post offices and newsagents. Harley has two of these pets, ‘Socks the cat’ and ‘Patch the pig’ and loves playing with them either alone or alongside the rest of his WOW toy collection. 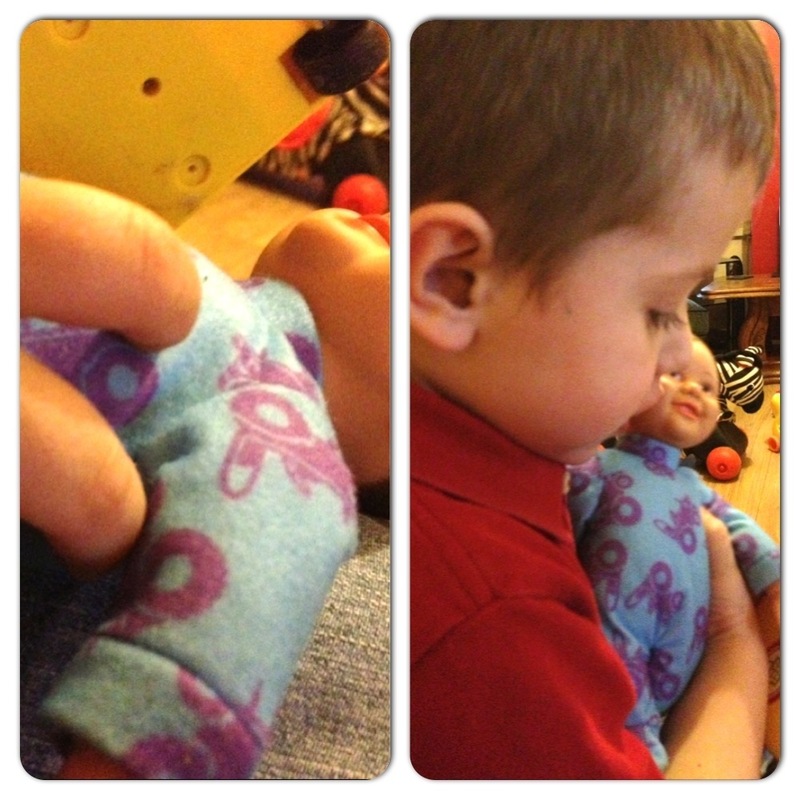 The toys have no little pieces and are big and chunky for little hands. The collection aspect of the toys is great fun though the packs are blind foil so although you have the fun aspect of a surprise you may end up spending a little money trying to make up the full collection. For each pack you purchase, WOW will make a donation to the RSPCA! Would you like to win one of these cute WOW animals? I have a total of 6 to give away. Q: What is your favourite WOW TOY? For one extra entry tweet “I want to win an RSPCA My Pocket Pet with @Clairelouise82 & @WOW_Toys” adding the URL to this post. Please then leave a comment with your twitter handle or link to your tweet. Competition will close at 11:59pm on the 15th March 2013. 6 winners will be drawn at random. T&C competition is for those in the UK only. Those entering must leave a contact whether email or twitter handle. Winners have 72 hours to respond to winning notification notice or prize may be lost and redrawn. As a mother to a child on the autism spectrum I really do understand the importance of communication. 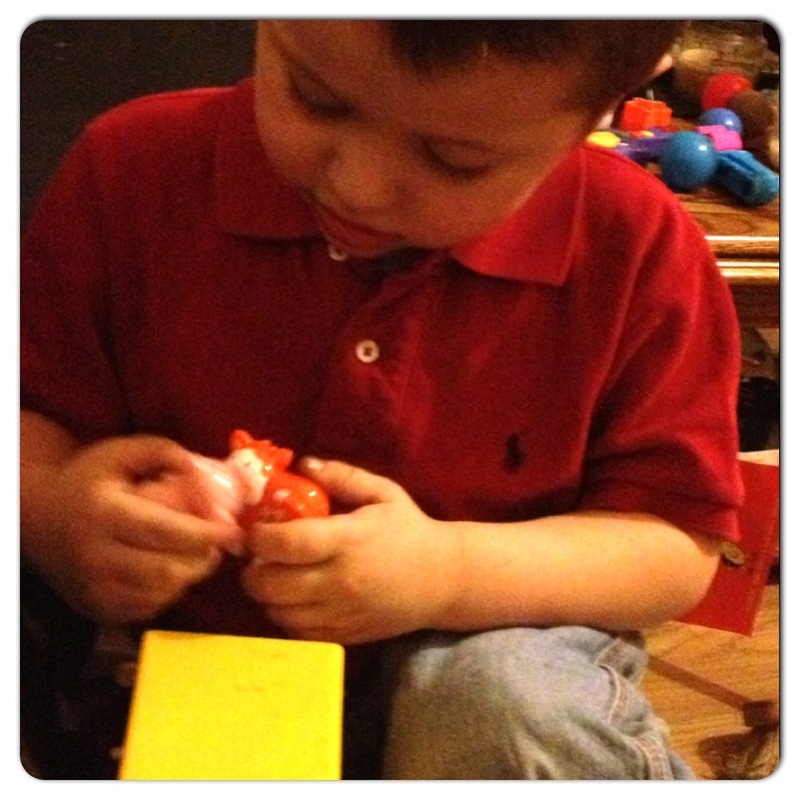 Little man is high up on the autism spectrum with a diagnosis of Aspergers Syndrome. He is very verbal and has been from a very early age. Although this is considered a good thing it is often confused that due to my child’s excellent vocabulary he must be an excellent communicator! This is in fact very wrong. He is a child who actually undergoes speech and language therapy receiving a considerable amount of hours while at school as his statement of sen specifies. I CAN, the children’s communication charity is therefore a charity very close to this mums heart. They understand the importance of communication and have been a strong means of support to many parents and they’re children all over the country. Before Christmas I shared with you my review of the fabulous resource ‘Chatting With Children’ produced by I CAN and as a parent I was truly impressed with what it had to offer! You can read the review here. 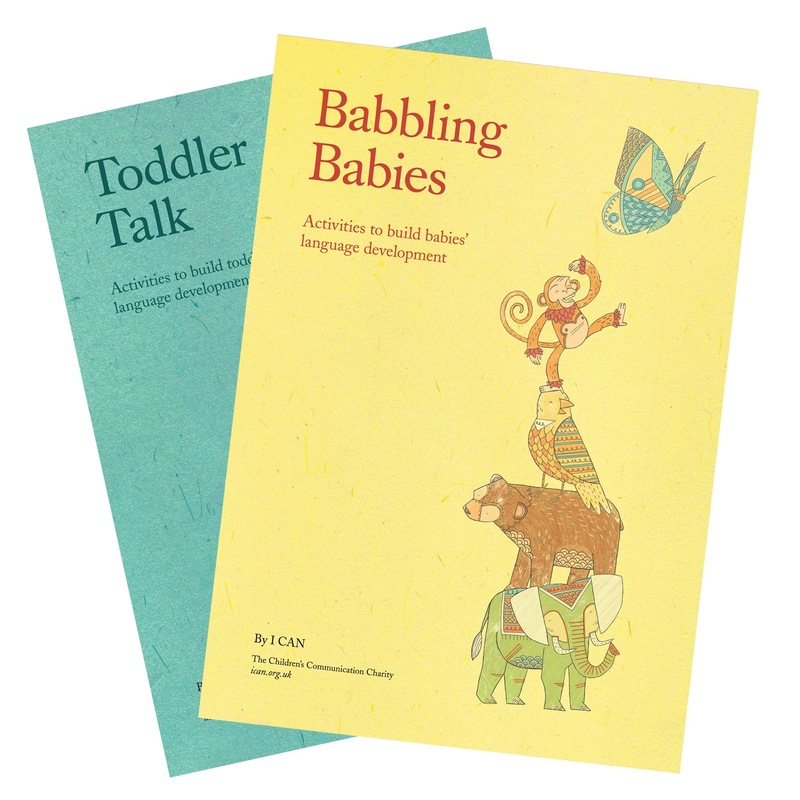 is a wonderful gift or activity set ideal for parents and practitioners supporting babies, toddlers and young children in learning to talk. 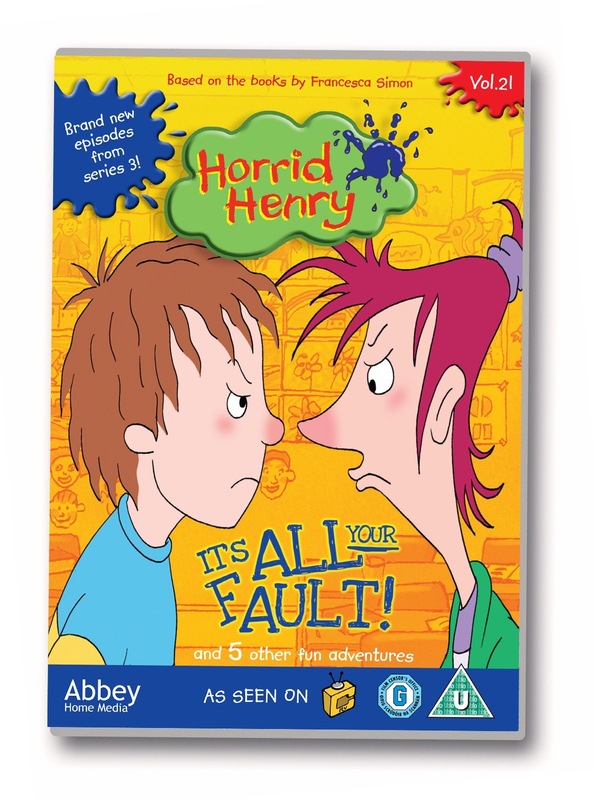 This box set includes activity packs for all ages between birth and five years. 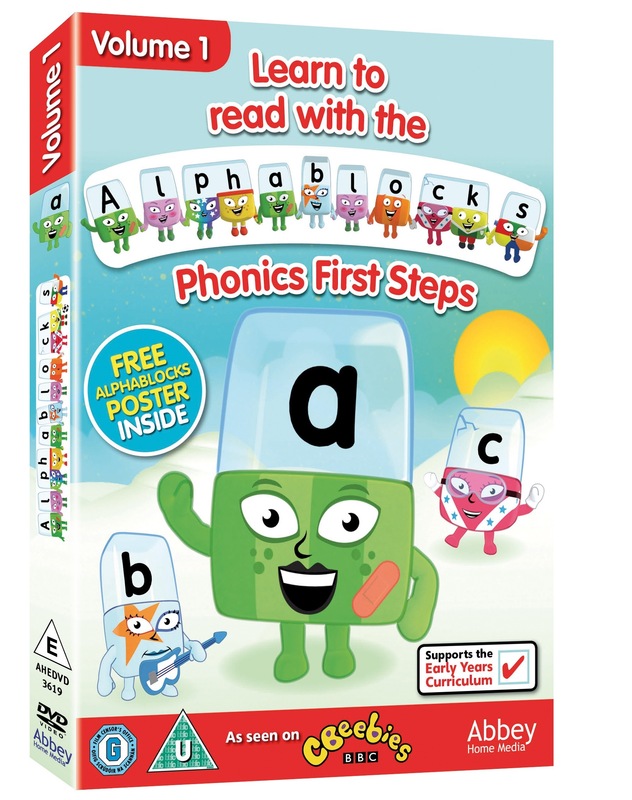 Produced by I CAN, the children’s communication charity, these beautifully illustrated activity cards provide information on easy-to-do, fun activities that support the areas needed to become skilled communicators. 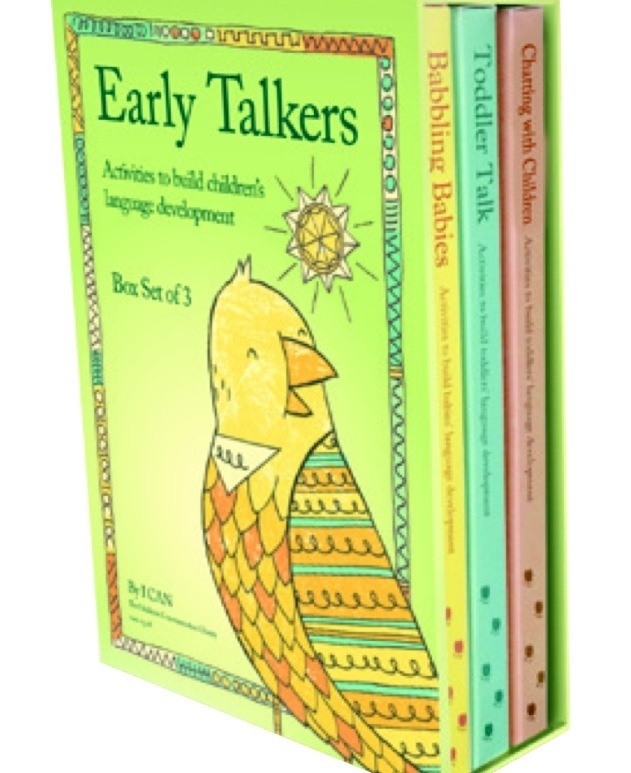 Organised into five sections, each Early Talker pack focuses clearly on attention and listening, interaction, as well as skills for understanding and using words and sentences. Compulsory action: Please leave a comment that provides a tip on the subject of engaging children under 5 in communication. To gain extra entries you can do any of the following. 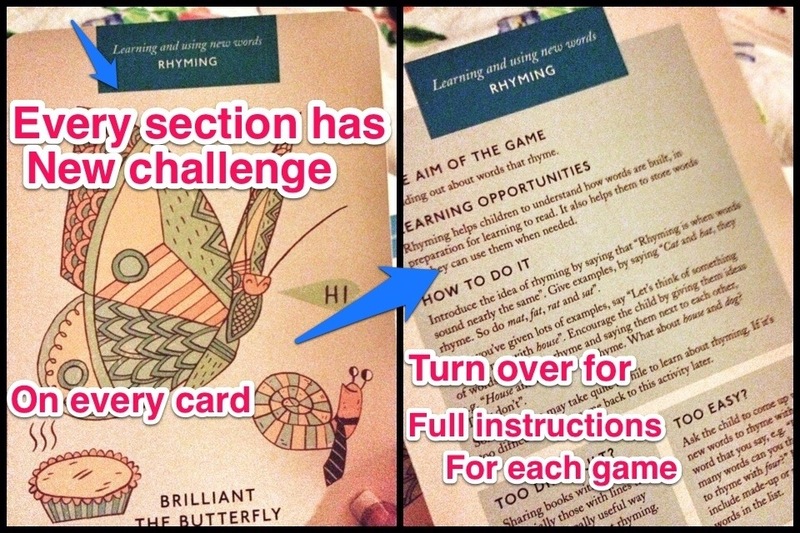 Each completed action will equal one entry. Note an additional comment must be left for each action taken. Remember to leave an email address or twitter ID so that I can find you if your lucky enough to win. Tweet: “I want to win an early talkers box set with @Clairelouise82 & @ICANcharity” adding the URL of this post to the end of you’re tweet. The competition will close on the 8th February 2013 at midnight. One last Thing: I CAN are looking for local Families in the Bath area to register for the Bath Fun Run. It would be great if you could show your support by sharing this with anyone that maybe interested in supporting the event. T&C: The competition is open to those in the UK only. All entries will be checked and those that have not met the entry criteria will not be entered into the final draw. One winner will be drawn randomly soon after the competition closing date. Winner will be notified via the email or twitter ID they provided. Winners have a total of 72 hrs to responses or I have the right to redraw another winner. Winners name may be published on this site. The prize will be sent directly from ICAN. Your delivery details will therefore need to be shared with ICAN Only. 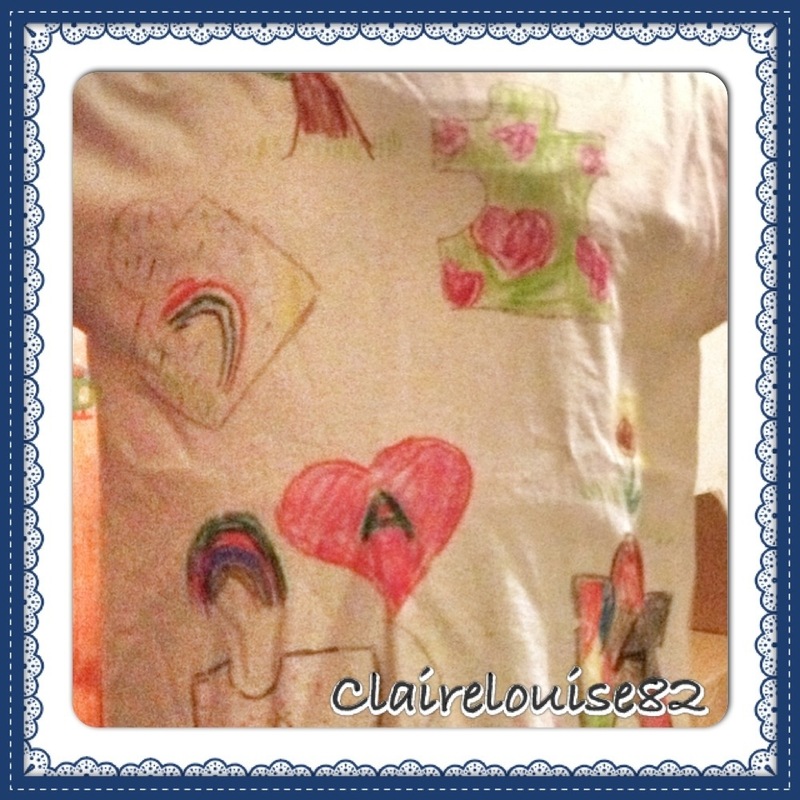 I love designing my own T-shirts and recently the children engaged themselves in such a task in the hope that they could win some money for the national autistic society (NAS) a charity close to all our hearts. 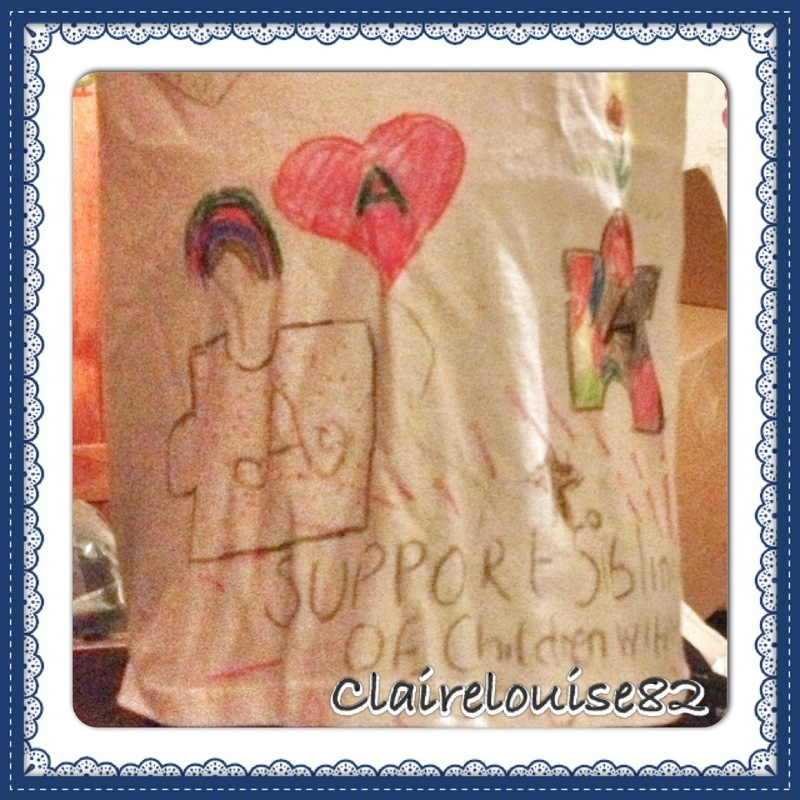 Alice designed a T-shirt aimed to create awareness for the siblings of those on the autism spectrum. Alice knows how difficult it can be to be a sister of a child on the autism spectrum. There is little or no support in our area for siblings of those with autism and for this reason they can be left feeling pretty alone. Her T-shirt features the autism puzzle pieces and a very important message. 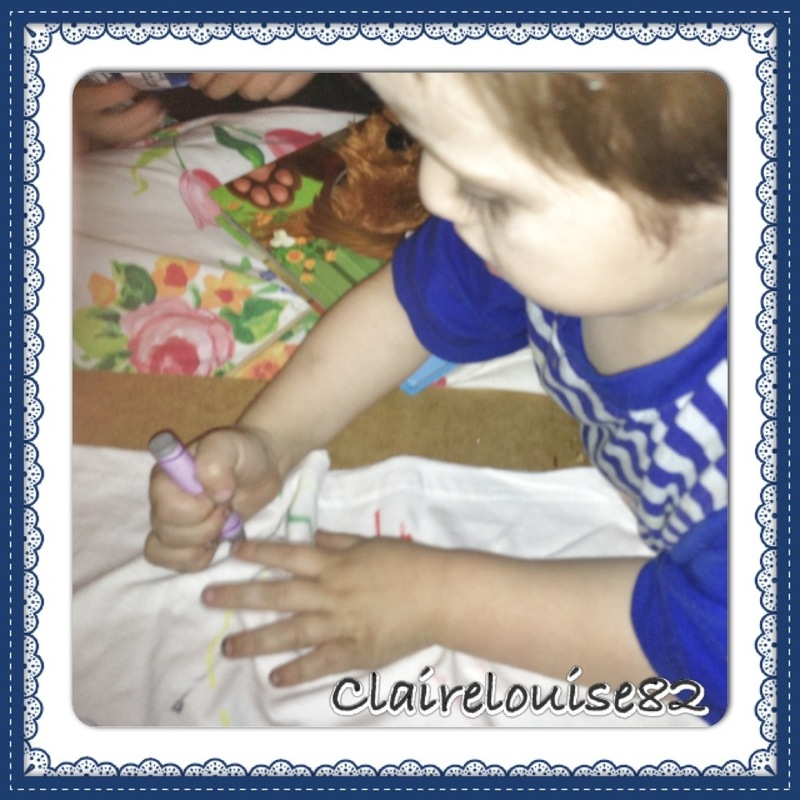 The toddler also had fun designing and then wearing his t-shirt. The T-Shirt Design Competition is being hosted by polo-shirts.co.uk. 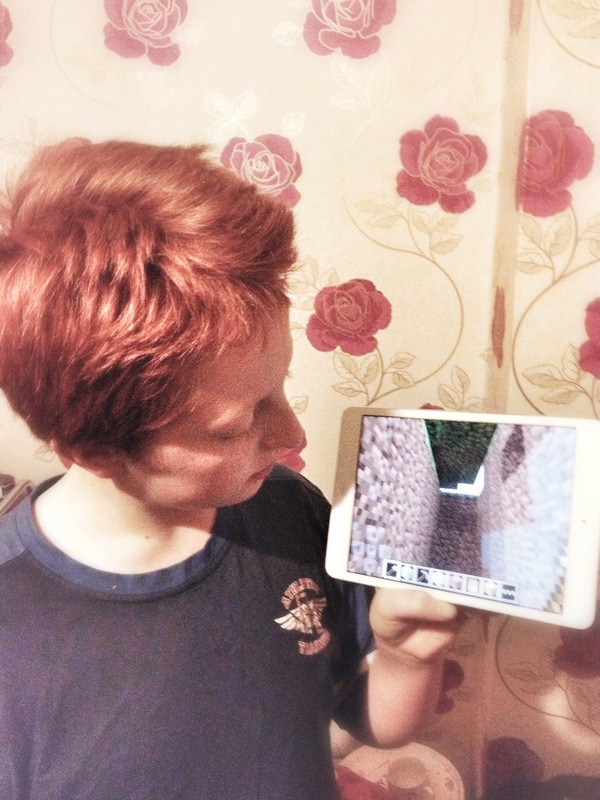 They are encouraging under 17 year olds to get creative and possibly win £250 for their chosen charity… How cool is that! “In order to celebrate the creativity and talent of young people we are launching a very special t-shirt design competition. So, if you are a budding young designer get your pens, graphic design skills and imagination at the ready and start thinking about what you want to put on our t-shirts. 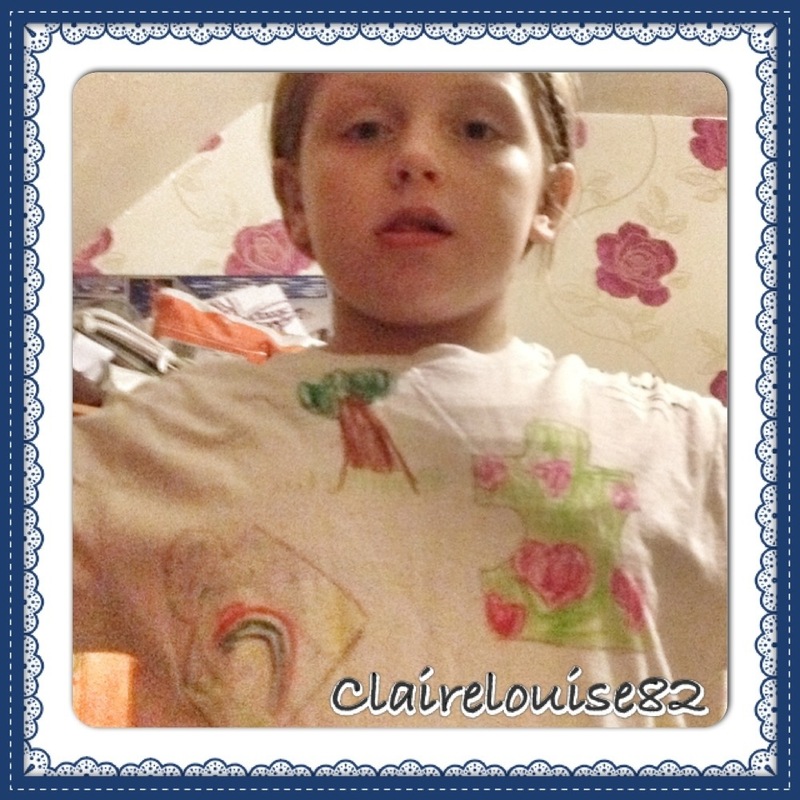 If you are under the age of 17 we would like you to create a design to go on the front one of our t-shirts. There is no purchase necessary, participants simply need to draw the design, scan it in and email it to helen@polo-shirts.co.uk. The design can be of anything you want but if there is a special meaning or inspiration behind it please do tell us. We are really excited about the competition and possibly raising money for the NAS. So why don’t you get creative and have a go? Sadly it is a voting comp but as its for charity I did want to share. Hopefully the voting could be reconsidered and the winner chosen at random or for the entrants overall creativity?